People often ask me about the crochet dresses that I make for myself. I actually don’t work from patterns most of the time and my dresses are all patternless designs. 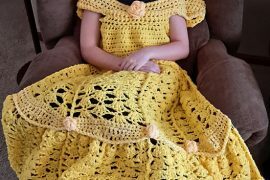 That doesn’t work for everyone, though, so I thought I’d do a roundup of some of the best crochet dress patterns available. This week’s edition is all free crochet patterns and next week I’ll follow up with patterns that are worth paying to get. I love Kristen TenDyke’s crochet dress, designed to be worn over something since it’s openwork in design. It’s bulky and textured and cool-looking! Free pattern via Classic Elite Yarns. Photo by Carrie Bostick Hoge. This DROPS dress is lovely with a classic, sophisticated sense of style. Note: the pattern is in British English. This free crochet pattern from Stitch Nation is by Ann Regis. It’s designed to be worn over a slip as a summer style. Here’s another example of an openwork dress that can be worn over another dress. I like this style because it is easy to create even with beginner crochet skills. This free pattern is from Red Heart. This crochet dress pattern from Knits for Kids can be worn as a tunic with leggings or shorts or made longer to wear as a dress. Go daring with this crochet dress pattern from Hook, Yarn and Needles. You could also wear it over a top or slip for a more sophisticated look. This crochet dress by Tammy Hildebrand is designed to be a lingerie pattern but with the popularity of “innerwear as outerwear” it could be styled with a jacket and tights to be a great dress to wear out on the town. I think it’d be tough to pull off wearing this tweed crochet dress designed by Treva F. McCain since it’s bulky but I love the texture. It’s worked with Caron’s Simply Soft (same as Doris Chan’s) and the crochet pattern is available free through Caron. I adore this designer-inspired crochet dress. 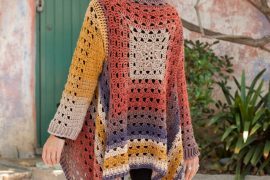 The crochet pattern is available in several languages and is free through Ravelry. I love the design on this crochet dress that’s worked with red cotton. It can be worked in the round or made in two pieces, front and back. Free Ravelry Download. The pattern is an English translation of a Russian crochet pattern. This free crochet dress pattern comes from A Craft A Day Keeps Boredom Away. I think this is one of the most practical designs in this roundup. The pattern for this super cute crochet dress is written in Italian but also has an English translation. 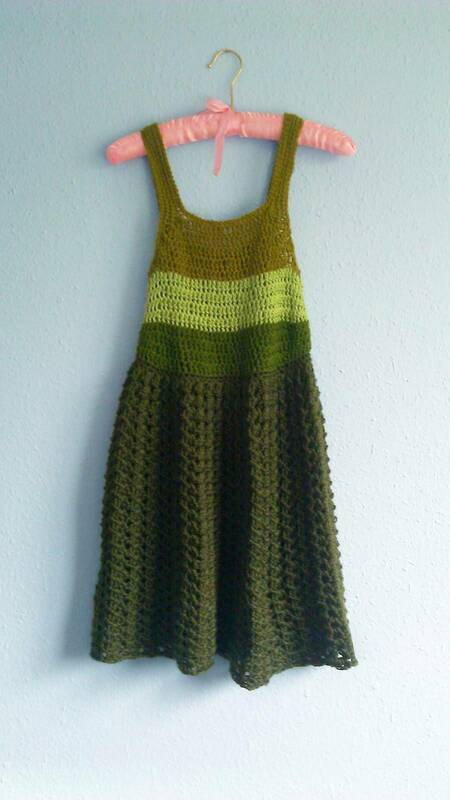 This crochet dress is worked in pieces and stitched together at the end. The long sleeves and cozy look make this crochet dress a great option for fall and winter. It’s a DROPS design. What questions do you have about crocheting dresses? VictoriaKConery You can find it if you search for the cached version. Just enter the link into a Google search and then choose “cached” and it should be there. My apologies. Looks like the link had changed but I’ve corrected it now. Which dress pattern isn’t working? sorry. Nightfall is #`4, Sophisticated Crochet Dress. Apologies – I’ve updated the link and it’s now correct! Can anyone tell me if there is another link? It looks like the link had changed. I’ve updated it now! How can I get the patterns?. I love all the dresses please!!!!!!!! Hi I would like to receive pattern crochet sophisticated blue dress that appears under No. 14. Where is the link to the dress?